There's no car we can't unlock! When would you need an emergency car opening service? Have you ever had the misfortune to be standing outside your car staring blankly at your keys inside, or slammed the boot shut before remembering to pick up the keys you put down, or have you pushed the fob to release the central locking and nothing happens?…..Maybe your car key just snapped off in the lock!? How do you gain entry into the vehicle without causing any damage? The vast majority have no idea. The Auto Locksmith has a solution for accessing all vehicles and is with out doubt the most affordable car opening service in London. What not to do is to call a general house locksmith. Whilst they may be well-intentioned and possibly able to get you into your car, it is highly likely that they will damage it whilst doing so. Auto locksmiths use specialist lock picks to open cars that most domestic locksmiths are unlikely to have. Realistically, you are going to have to get hold of the dealer and order in replacement keys (which could take 5 days) or call The Auto Locksmith and have us quickly and safely unlock you car. It really is as simple as that! If you are in greater London or the Home Counties, call The Auto Locksmith. Our specialist team of mobile car locksmiths will come to you and assist on the spot – often reaching you within 30 minutes of your call, whether you are at home, work or stuck on the roadside. How will you open my car? 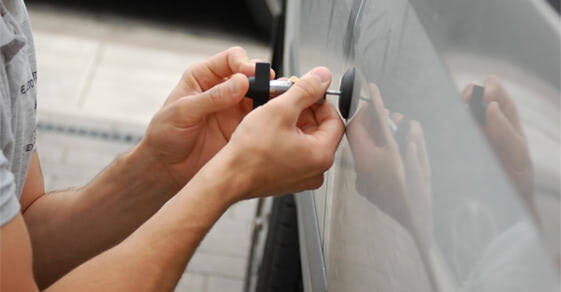 No matter what the make or model of your vehicle, whether it uses an old fashioned key, an electronic fob or a transponder key, The Auto Locksmith will gain entry into your vehicle using specialist tools and techniques, without a speck of damage being caused. Even if your keys have gotten locked in the boot of a new, high tech model of BMW or Mercedes, vehicle entry can still be gained in a fast and damage free manner. You are guaranteed not only assistance in getting back into your car, but if it is a case of lost car keys, The Auto Locksmith will also be able to cut you a brand new set to ensure that you are back on the road in the shortest time possible. We can also program your keys to your car’s immobiliser, nothing is an issue or a problem. That sinking feeling that you usually get in the pit of your stomach when you realise car opening is impossible can now be banished forever. With The Auto Locksmith, vehicle entry is easy and any evidence of forced entry is non-existent. Do yourself a favour and put the number you need to know on your speed dial – 0800 158 3798! You never know when you are going to need one…. Thank you for the prompt service and retrieving my Ford Focus key which I stupidly locked inside my boot. The Auto Locksmith were at my car within the hour and i was on my way in just 10 minutes. Highly recommended.